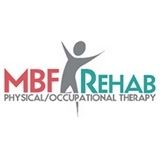 MBF Rehab Physical & Occupational Therapy (Fresh Meadows) - Book Appointment Online! Here at MBF Physical Therapy, our fun and energetic team is dedicated to creating and providing a comfortable and caring environment. Our mission is to provide compassionate, personalized, and revolutionary treatments that help our patients regain function by decreasing pain and improving strength and confidence. We first work to understand our patient's history and individual needs, and then work together with them to maximize results, ensuring a safe and quick return to a high quality of life. We specialize in providing revolutionary treatment programs to get our patients better as quickly as possible. We can help if you are; limited by pain, injury or discomfort. Our facilities, expertise, and commitment will help restore the quality of life you desire faster and better than any other clinic. Dr.Michael was very professional, genuine and comforting. All staff workers were polite and everything went smoothly. After only being there for an hour my son felt a huge difference. Well worth a travel! Highly recommend!